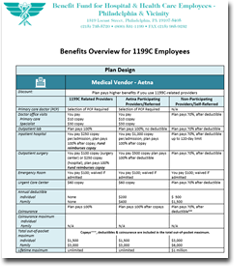 This section is designed to give you easy access to available resources that may be of particular interest and value to retirees. Use these “Quick Links” to access these resources. 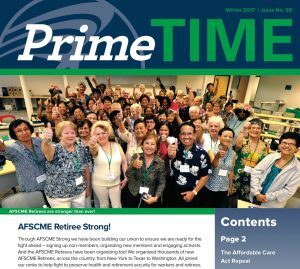 PrimeTIME is the newsletter for AFSCME retirees. 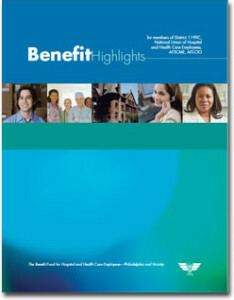 It features the latest updates on pensions, retiree health care benefits, Medicare and Social Security. It also highlights the activities of AFSCME retiree chapters, provides helpful consumer information and puts the spotlight on retiree members who are making news. 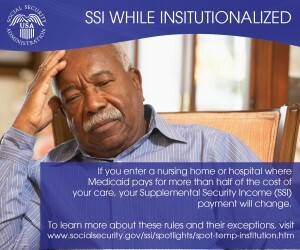 What happens to my SSI benefits if I go into a hospital or Nursing Home?